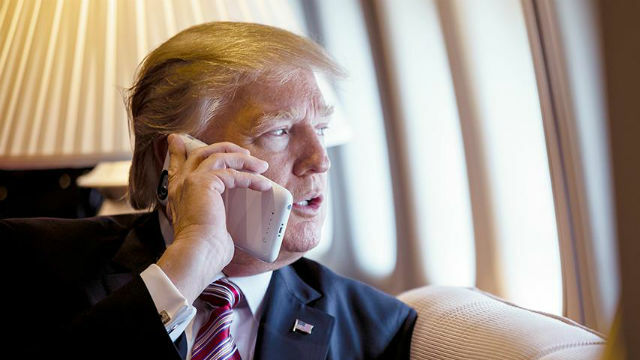 President Trump seems to have a problem with a lot of modern technology. Whether it’s clean power generation, Amazon.com, stealthy jet fighters, or this week’s target — General Atomics’ electric catapults for the Navy’s new supercarriers. What the President is suggesting is that we turn back the clock to technology developed almost a century ago, rejecting a San Diego innovation that promises to launch Navy planes faster while reducing wear-and-tear on the sophisticated jets. Some of this is simply a natural frustration with change that afflicts many of us as we age. Trump is 70 years old, after all. When he came of age, technology in American was epitomized by steel, coal and concrete. Now technology equals computers, communications and data. “The whole age of computer has made it where nobody knows exactly what is going on,” he told reporters at his Mar-a-Lago resort in December. It’s not clear that Trump understands how essential computers have become, and how American information-technology companies like Apple, Google, Microsoft, Qualcomm and Facebook have grown to dominate the world economy. He repeatedly criticized Amazon and its founder Jeff Bezos during the campaign, saying “Amazon is getting away with murder tax-wise.” Apparently he credits Amazon’s success to not having to charge sales tax rather than to creating the world’s most-trusted online marketplace. Though he is an avid Twitter user, it’s not clear that Trump types the messages himself, and he is apparently not a computer and email user. Maybe his concerns about this new computer-based world economy stem from fear for his family business. Posh hotels and exclusive golf courses may not thrive in a world that’s moving to Airbnb and finding golf a little boring. In Trump’s view, making America Great Again may mean a return to the “good old days” when technology was simpler and easier to understand. Like the Luddites of English history, he may lash out at innovative companies that are challenging comfortable old ways. Let’s hope for America’s sake that his discomfort with new technology goes no farther than some angry tweets.